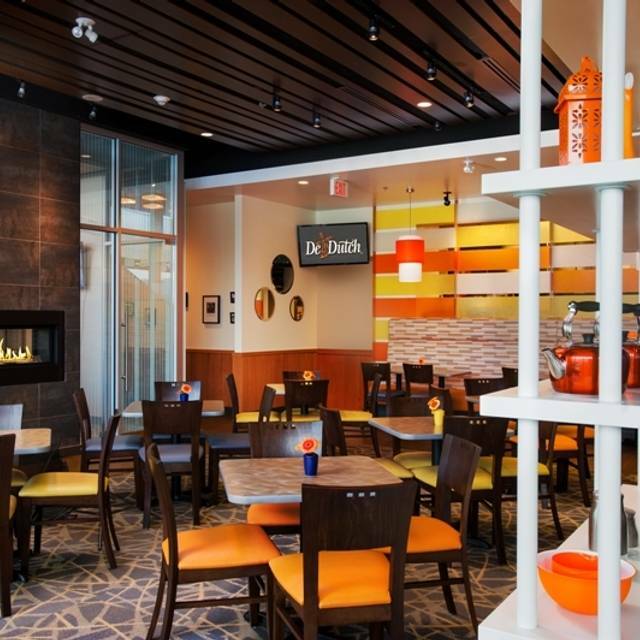 You must make reservations at least 5 minutes in advance of the time at De Dutch - Burrard Landing. 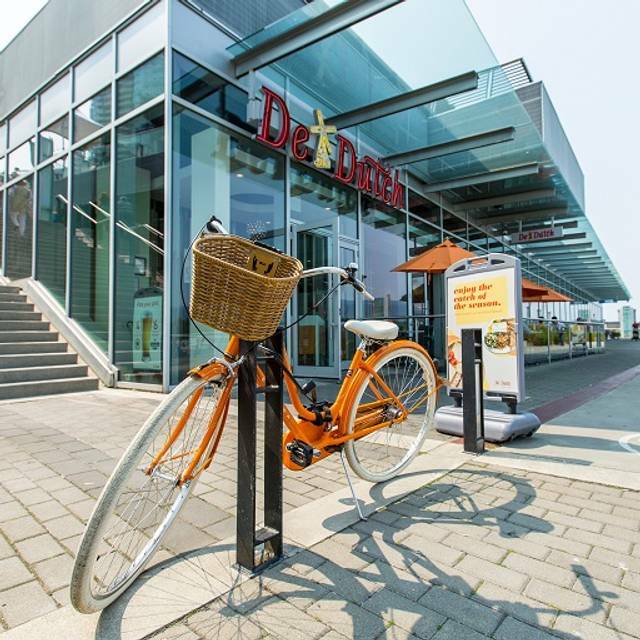 Since 1975, this popular breakfast, brunch and lunch spot has satisfied the hunger cravings of British Columbians thanks to a tasty menu of sweet and savoury treats. 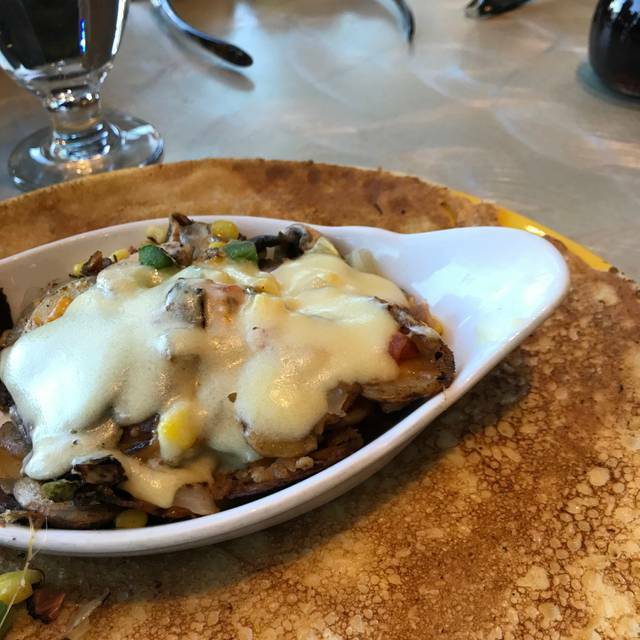 Arrive hungry and order the signature Dutch Pannekoek, which tastes similar to a North American pancake but is only slightly thicker than a crepe. 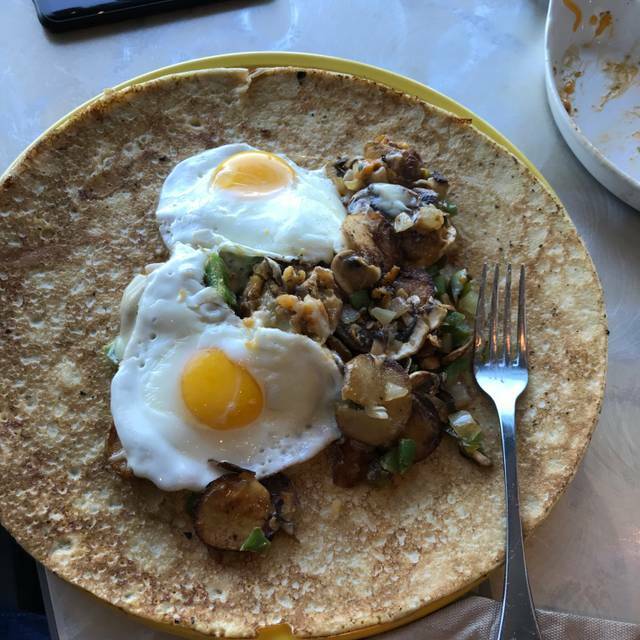 Fun fact: the large pannekoek can be cut into 113 square one-inch bites. Popular toppings for this substantial meal include The Canadian with bacon, eggs, tomatoes and maple syrup, and The Trail Mix with trail mix, honey and hot cinnamon-dusted apples. 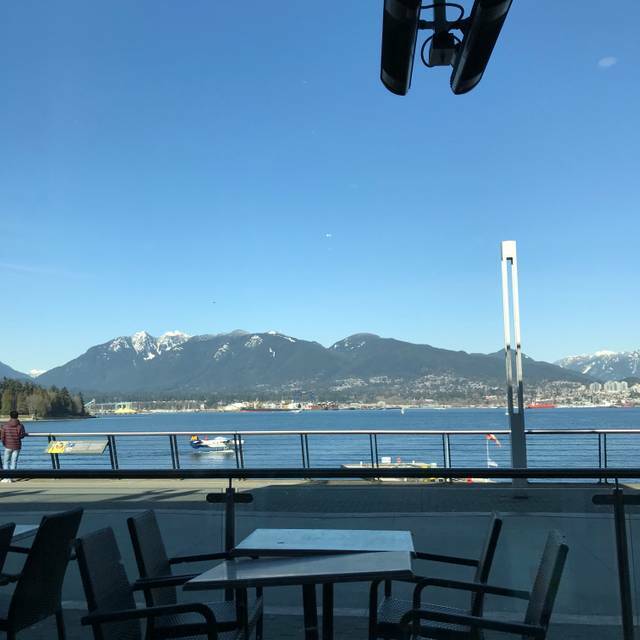 Located in the Convention Centre West, the Burrard Landing location offers stunning views of Stanley park and the North Shore. A bright and air private glass meeting or dining room, can seat up to 14 comfortably and is fully equipped with a fireplace, television, A/V capabilities and wireless internet. 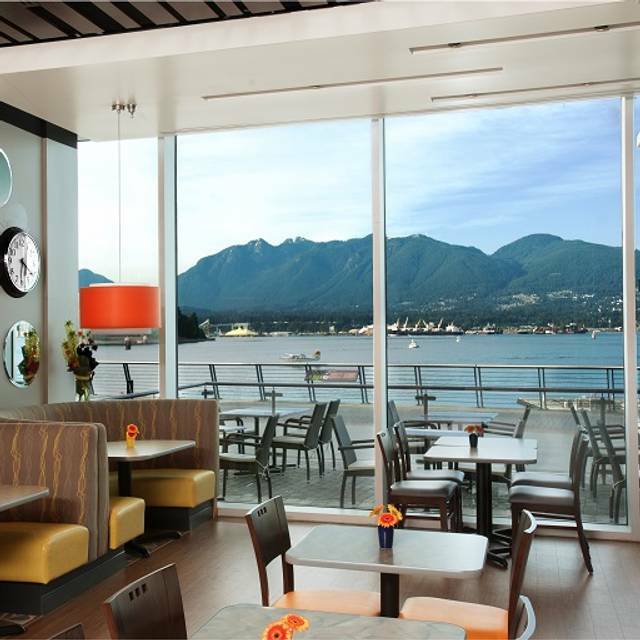 Casual food in a tasty location with stunning views of Burrard Inlet and the North Shore mountains. Servers were energetic, friendly and organized. Simple food, simply presented. A nice relaxed option if you want a break from the 2 chain restaurants just upstairs. 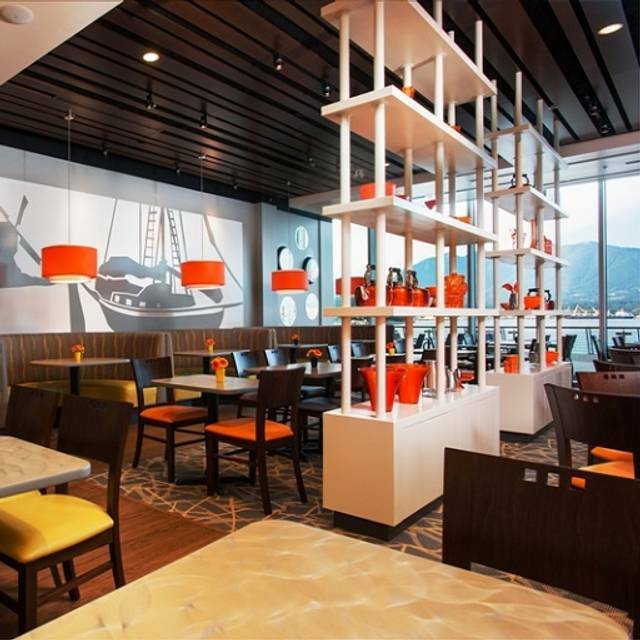 Great food, view, atmosphere. Service was very slow otherwise I would have given it 5 stars. Amazing restaurant, food, service! Will come back again! Gluten free options as well! The view of the mountains and water were to die for! 2nd time there. Food was good, service was good. Got there 10 minutes before my reservation and got seated immediately. My wife (American) found it for me (original Dutch). We went there and it has a nice atmosphere and a lot to choose from. De Pannekoeken are pretty Dutch. They are bigger and a bit higher than crepes, but far larger and thinner than American pancakes. Also all other options (a vast selection) looks or is very good and not greasy at all. Nice servers. We went here once then had breakfast in our posh hotel restaurant (which was horrible) and the next morning we went back to De Dutch to be very satisfied! Just go there! Food was decent but the service was extremely slow. It took over 30 minutes to get our food and over 15 to get our bill when requested. Service was friendly but they seemed swamped by the numbers waiting for food. It's a bit of a walk to get here, but man is it worth it! Every time we are in the city, we go here. 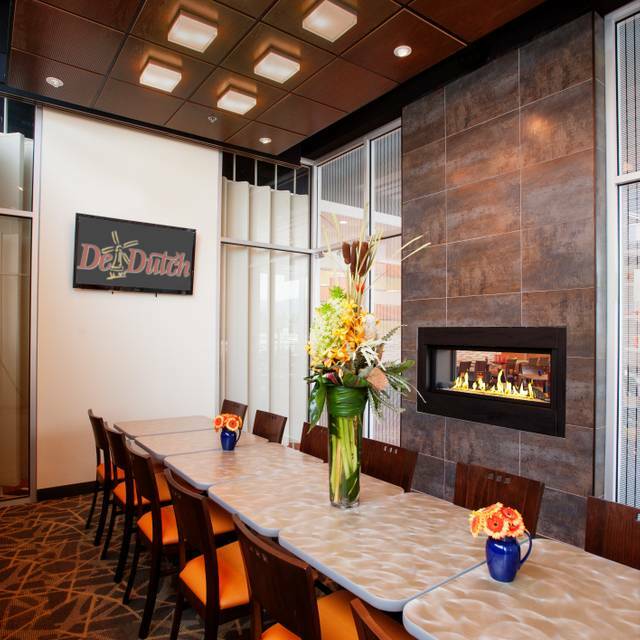 If you're looking for a "greasy spoon" diner, skip De Dutch. It's as clean as a whistle and the Mid-Century Modern decor reminds us of the World Fair. We've sampled across the menu over the years and have never been disappointed. The staff are great, the view is awesome on sunny or rainy days, and prices are reasonable even in a very expensive city. Waited over an hour for our food. After getting the check it took again forever for someone to come back so we could pay and finally leave. Lost way too much time on our Sunday that day. We did have reservations but were told we didn't need them. For the price you pay you really don't get great value. For the French toast had to ask for syrup and then when done the whipped cream was brought. The small fruit bowl is dry and not presented well. All in all with all the meals they were very poor. Service slow. Takes forever to get a cup of coffee at breakfast. But lovely, friendly waitstaff and very good food. Varied menu, and accommodated our special dietary requests. Service was terrific and we received our orders quickly. Food was somewhat bland (perhaps just a breakfast thing). but decent portions. We waited for over an hour for our food even after we reserved seats without any apparent issues or being overly full. One person had to change his order because of unavailability and then his sausages were burnt. I really enjoy the food there but the service can be better. We were seated at our reserved time but waited 15 minutes before anyone provided us with water. Our server didn’t come by our table until we flagged her down. Even after we ordered our food, it took at least another 10 minutes to get our waters. Other tables that sat down after us were provided with waters. We really enjoy the food at the location but this is the third time that we have had bad service. It’s all about the view. Without the view, we probably would not go there again. Their special Strawberry & Banana 'pancake' - I can't remember the spelling - was AWESOME!!! Very good food and great service. Loved the “oldies” music playing! Have eaten here a few times now and have enjoyed each visit. the food is quite good and the orange juice is freshly squeezed (which not many restaurants seem to offer these days). The staff are helpful and the service is quick. The prices are reasonable. The location is very handy in the Vancouver downtown, being on the waterfront. However, i must dine here during the quiet periods as there are only ever a few tables occupied so the atmosphere is quite subdued, which is good for conversation but not if you are looking for something more lively. Great food in a beautiful setting, though a bit hidden behind the convention center. Service was inattentive and slow. Food was mediocre, not worth the price. Had to wait 15 mins for table past reservation time, otherwise service was good. My friend was frustrated and I was embarrassed: I took my friends here because the food was good. My waiter was not very responsive and seemed distracted all the time. My friend asked for butter for his bread but the waiter kept forgetting despite we gently reminded him a couple times. The waiter finally brought the butter but that was at the end of the meal right before he brought up the bill. One poorly performed waiter could ruin the whole thing. I was embarrassed and upset. The management needs improvement before I can come back again. Good overall experience. Server did not refill my wife's coffee or water however. Food delivery was prompt and servers were engaging. Front of house greeted us swiftly so we didn't have to stand around too long. Seated right away with our open table reservation. We had an unexpected extra person which was accommodated nicely. Service was good and attentive - we all ordered breakfast and everyone was happy with their meals! Prices are reasonable for what you get! My boyfriend and I were visiting from Chicago and this breakfast was amazing. Large portions, well worth the money, and it tasted amazing. He got French toast and I got the farmer's pancake (I can't remember how to spell it). So good! I would definitely recommend. Service was very friendly and fast as well. Our meals were huge and didn't take too long to come out and our server was very nice. Great view and good food! Everything was perfect for meeting with out of town relatives.